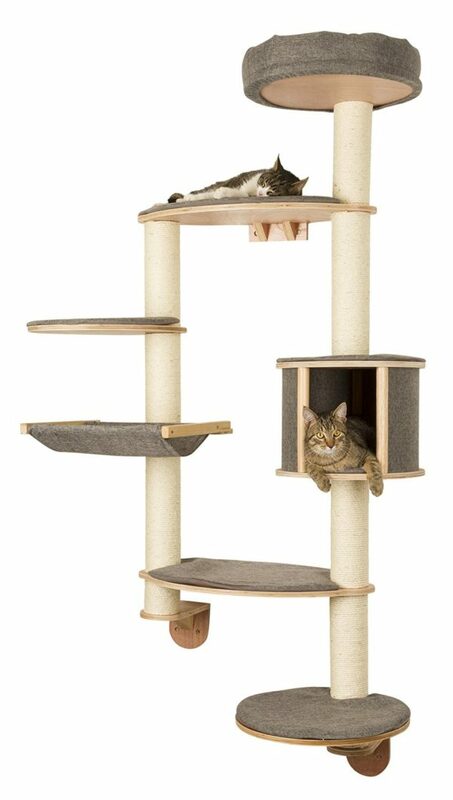 The Santos Plus Cat Tree is a complete entertainment system for your feline friend. Nobby truly is a genius when it comes to building high-Quality, strong and sturdy cat trees that not only looks fantastic, but have been built to stand the test of time and provide endless hours of the feline fun for your little precious kitty. With several available levels for your cats to play, relax and scratch. There imagination’s will be set alight as they explore everything that the Santos Plus Cat Tree has to offer. Standing at a height of 168 cm tall, the Santos Plus Cat Tree allows your little kitty to get up nice and high and feel safe and secure as they watch the world go by.